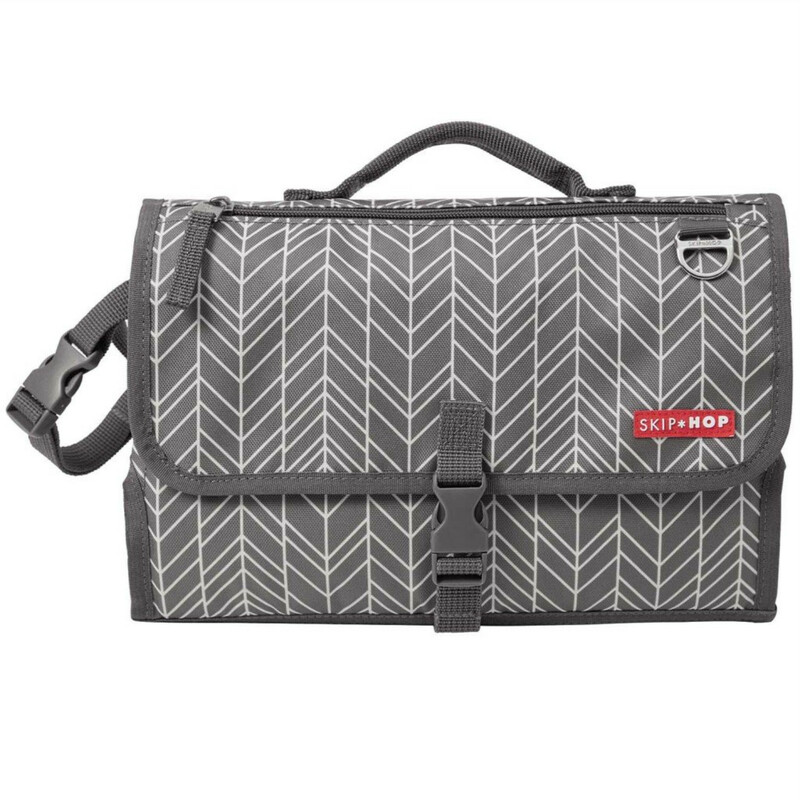 Make sure you’re always prepared for nappy changes on-the-go with the Pronto Changing Station from Skip Hop. 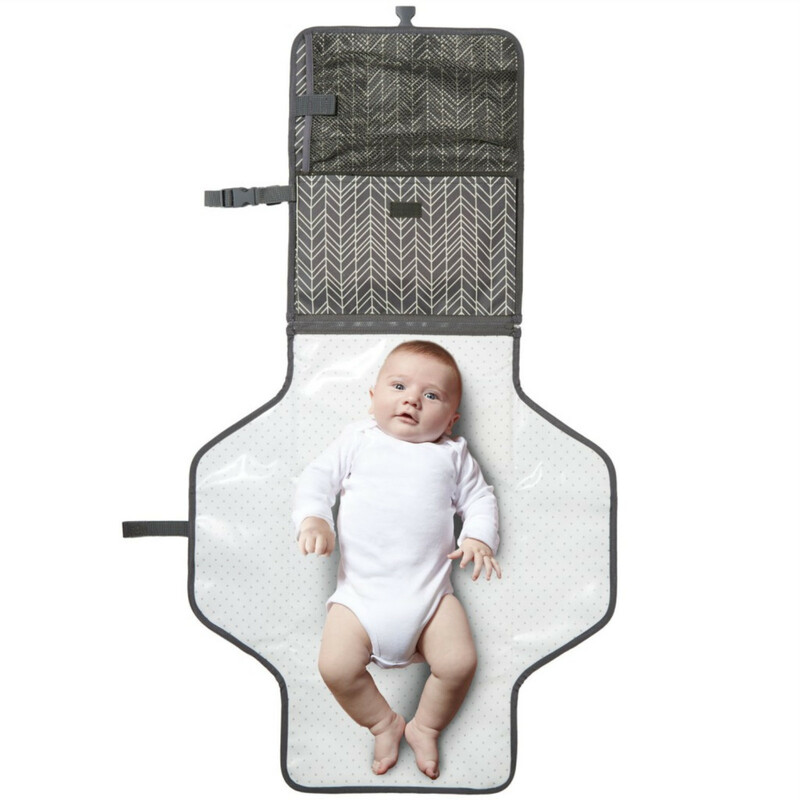 Perfectly portable, the Pronto can be easily strapped to your wrist, clipped to your stroller or dropped in your bag, providing you with a comfortable and hygienic surface on which to change your little one’s nappy, keeping them clean, dry and above all happy. 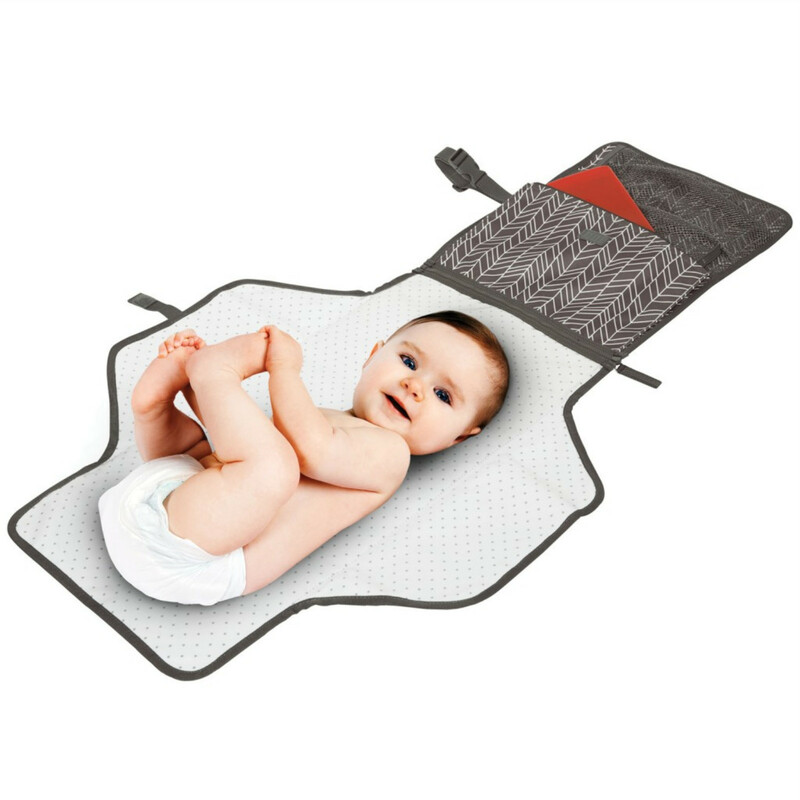 The extra wide mat easily wipes clean and includes a cushioned head area with innovative ‘Pronto Pillow’ for baby’s comfort. 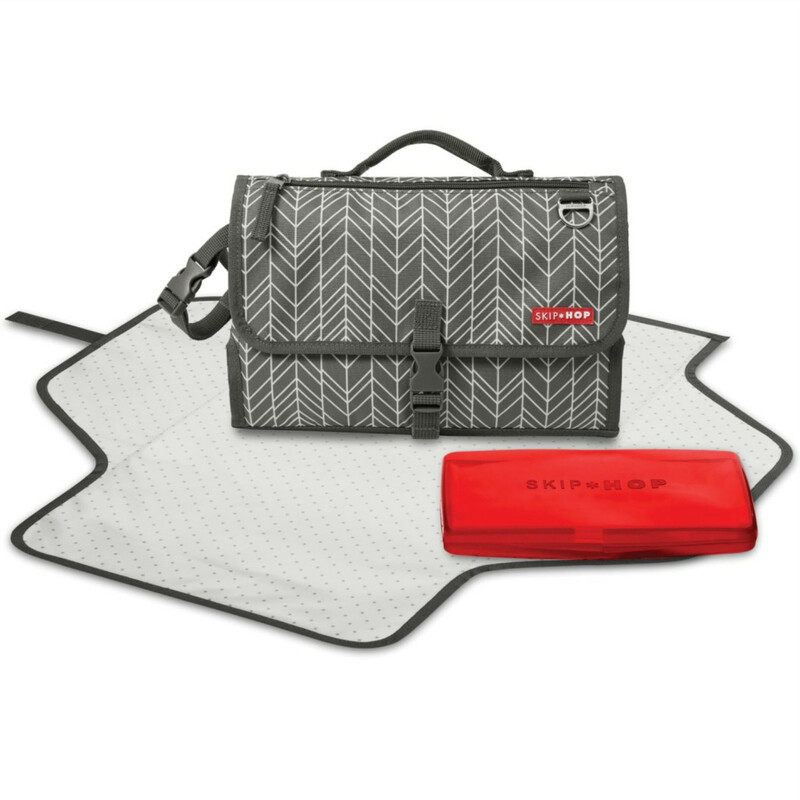 The mat can also be zipped off from the station leaving an independent nappy carry-all which can fit up to 4 large nappies along with creams and ointments. 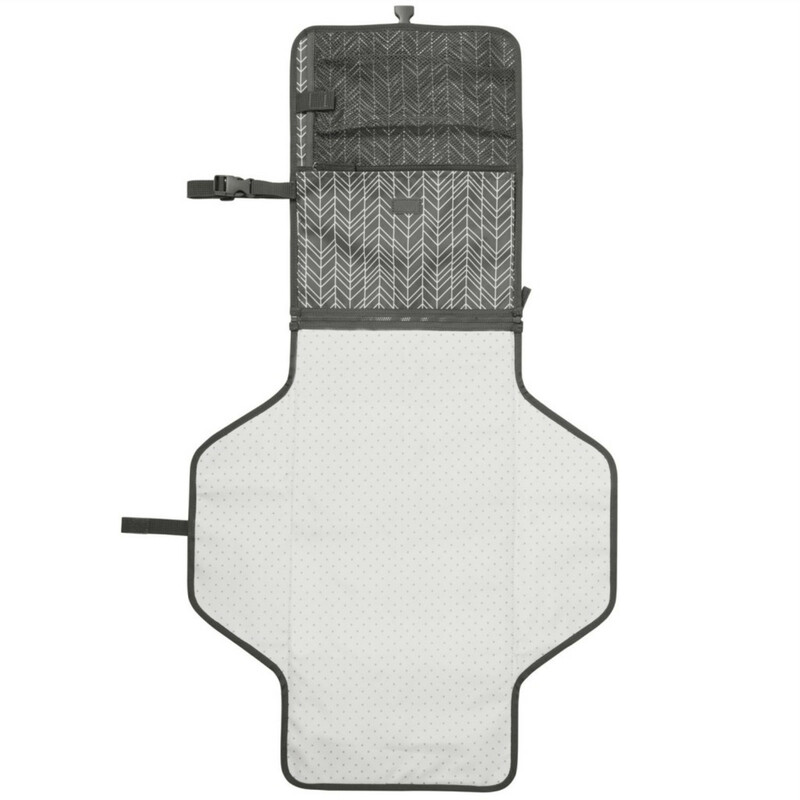 The Pronto also includes a translucent wipes case and a front zipper compartment which is idea for keeping personal items such as your phone or keys safely stored.